While outsourcing to the Philippines is no rocket science, but it’s also no walk in the park. The physical distance, the lack of face-to-face communication, and even the time zone difference can post a number of problems in managing a remote team. If you’re a first-time outsourcer, you may find it a bit difficult managing a geographically dispersed team. Lucky for you, a lot of outsourcers have come before you who went through these ordeals. Now, they have shared the things that worked for them to help neophyte outsourcers like you. We asked around and we drew upon insights from our own experiences to give you this ultimate cheat sheet. So, here it is – 10 tips to help you become a successful outsourcer. One of the common mistakes among outsourcers is taking an out of sight, out of mind approach in managing their team. Weeks go by without them reaching out to or hearing from their employees. This oftentimes creates a assumption of “smooth sailing” when in reality the seas may be rough. Making a commitment for consistent and scheduled communication with your team is an absolute key to a successful partnership and ultimately outcomes you seek in being an outsourcer. When you don’t commit to consistent and scheduled communication with your team the result is oftentimes “the stuff has already hit the fan” and you can’t do anything about it but to play damage control. You get disappointed and your team gets frustrated because they have to do everything over again. The importance of daily communication in managing a remote team cannot be emphasized enough. This is your only way to make sure that tasks are being done correctly and that your team and you are connected to the pulse of the task. It also gives you time to address issues before they progress into full blown problems. At the very basic level, you want to know three things from your virtual employees. First is what they accomplished for that day. This will allow you to gauge their productivity and ensure that everything is on track. The second question you should ask is whether your employees encountered any difficulty in performing the tasks assigned to them. The last question you should ask is what you, as their boss, can do to help. This will make them feel that they’re not just working for you, but with you. It builds trust and fosters open dialogue and teamwork. When you’re outsourcing to Asian countries like the Philippines, it is very important for you to set the right workplace expectations. You see, Filipinos tend to underestimate their skills. They have this nagging feeling that they’re not good enough for the job. When they feel that they’re not delivering, they disappear without a word because of embarrassment. Establishing clear expectations can prevent this from happening. Explain to your remote employees that you’re not expecting them to get things right on the first try and if they stumble along the way, it’s not the end of the world. Show them through your actions and words that you truly understand and believe in the process of helping them gain confidence in the process, themselves and you. Most importantly, do everything you can to ensure they not only know but do come to you if they have questions. 1. Tell them that they got the job (“Congratulations! You’re hired!”). 2. Start date (“Your official start date is _____”). 5. Reiterate how much they’re getting and if there is room for future increase (“You will be getting $xxxx per month. After two months, I will evaluate your performance and there’s a chance for a salary raise.”). 6. Tell them how you will pay them and when (“You will get paid weekly for the first 30 days, if you pass my 30-day trial period I will pay you the 1st and 15th of every month via PayPal.”). 9. Tell them that you you hope the partnership lasts for a long time (“This is a long-term position and I hope to work with you for years to come.”). Most of the points above are rudimentary and basic housekeeping. The last point is really what you should focus on. Telling your new hires that you are in this for the long-term also puts them in the mindset that what they entered is not just a one-off gig, but rather, a real employment opportunity where they can grow professionally, financially and even personally. This initial communication sets the stage for the future relationship with your employees. Here’s another common mistake employers make when outsourcing to the Philippines. A lot of times, we see virtual assistants as jacks of all trades. However, it is very rare that you can find someone who can do everything and anything you throw at them. Sure, they may know things in different areas, but there is always that one thing that they can do really well. For example, if you looking to hire a great designer, don’t expect them to also be a great developer. Hire two separate workers for these two different positions. When hiring someone in the Philippines, ask them to focus on one field or one area of expertise at a time. Article writers should only do article marketing. SEO workers should only do link SEO related tasks. Video editors should focus on video related projects. Allow them to take root in your company with a single mastery and once they’re settled in then you can have them branch out into other tasks. In the Philippines, employees avoid contractual and part-time work as much as possible. Unlike in the US when there’s a steady stream of part-time and project-based employment opportunities, the lack of permanent work actually scares Filipino employees. If you can afford it, we highly suggest that you hire Filipinos on full-time and permanent terms. With an increased feeling of job security comes a rise in productivity and quality of work. Why? Because they don’t have to worry about finding a new job after six months or look for a new project once they’ve finished the one at hand. They will protect and safeguard their job with you because you’re offering them the closest semblance of tenure security. It’s plain and simple. People who feel secure at their jobs would do whatever it takes so they don’t lose their work. In a recent test conducted globally, the Philippines emerged as the #1 most proficient country when it comes to using Business English, outside countries like the United States and the United Kingdom. The Philippines is also the third largest English speaking country, so finding someone who can speak really good English should not be difficult. However, there are still a lot of employees in the outsourcing market who can’t communicate well in English. This is why we believe that outside of their core skills or competencies, the ability to communicate in good English should be the number criteria when hiring someone from the Philippines. Also, you may encounter Filipinos who are comfortable conversing with you over chat, but would be quite hesitant to have a voice call with you. Some employers are fine with that, but we are actually encouraging you to hire someone who is conversational in English. This is especially true if you’re hiring someone to perform complicated or sophisticated tasks. Why? Sooner or later, you would need to communicate something to your employees that you can’t explain through email or instant message. Sooner or later, you would need someone to brainstorm and bounce ideas off. This requires verbal communication and if you hire someone who’s not very conversational in English, you may come across this problem down the road. Without the physicality, it’s sometimes easy to forget that your Filipino employees on the other end of the computer screen are humans. And they are humans who have aspirations and dreams, and from time to time, they also encounter problems and issues with their husband, wife, families, friends, or even their pets. When you notice that your employees’ productivity is going down and it’s not because of the systems and processes that you currently have in place, it’s most likely because something is happening in their life. It’s very easy to let the guillotine drop and fire someone, but it’s better to try and find out what’s happening in your employees’ personal life and if it’s affecting their work. Then, you can try and come up with a solution and maybe in help with get out of this situation. It’s costlier to hire someone new than to retain your current staff. Get to know your employees and their personal circumstances, and always reach out to them if you suspect that something in their personal life is affecting their performance at work. This is what good business owners and managers do. If you’re outsourcing or planning to outsource to the Philippines, you are probably outsourcing a certain area of your business that is associated with internet marketing. The most outsourced jobs to the Philippines fall under the categories of article writing, web development and web design, graphics design, video editing, SEO. All these are related to digital marketing. Ironically though, internet marketing is still considered to be a new discipline in the country. Even the big local companies or multinational corporations that have a local presence don’t really engage in complex and sophisticated types of internet marketing, that you see prevalent in the US. The lack of local knowledge brings about the importance for you to teach and train your employees constantly. Since internet marketing has not yet matured, you can’t rely on your employees to learn on their own. The transference of knowledge should start from you. To some extent, you have to make sure that your employees are caught up with the best internet marketing practices in the US. When you micromanage, you’ll just irritate and annoy your employees. And on your end waste time that you could have spent thinking and strategizing on how you can make your business more profitable. Have confidence in your employees. Filipinos are very smart. They are globally competitive and a lot are working on global offices for some of the biggest brands in the world. Give them instructions and most likely they will get the task done right or with a few minor corrections. You can check in from time to time to check if they have questions, but you don’t have to track their every move. Build trust with your team. Don’t take screenshots of their computer screen but instead look at the results they produce at the end of each day/week. Let the results speak for their work. This is the essence of having a remote team. 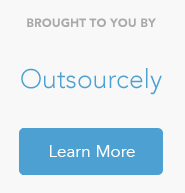 We can’t really think of a business or industry for which outsourcing won’t work. However, if you’ve been trying to be successful in outsourcing and it’s not working out for you, then probably you’re not cut for it. You probably need more time to get into the right mindset to be a successful outsourcer or have systems and processes in place for your outsourced operations to go as smoothly as possible. 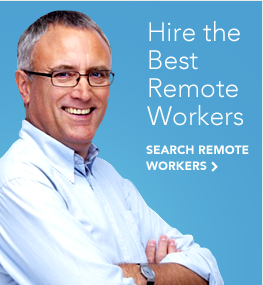 Our tip is to hire just one remote worker, then adjust to working remotely. When you’re ready, Filipino remote workers are ready to be part of your team.